A vibrant cream eye color with a matte, translucent finish. A cream eye color with a matte yet translucent finish for vibrant color with just one coat. This uniquely transparent, matte eyeshadow inspired by Japanese Washi paper delivers airy soft, rich color to lids in one coat. Comfortable texture in a crease-resistant formula. This unique cream eye color can be applied for a delicate, feather light finish or layered for a bolder, more saturated pigment. Dermatologist-tested. Ophthalmologist-tested. No fragrance added. Blends with fingers for a feather-light finish. 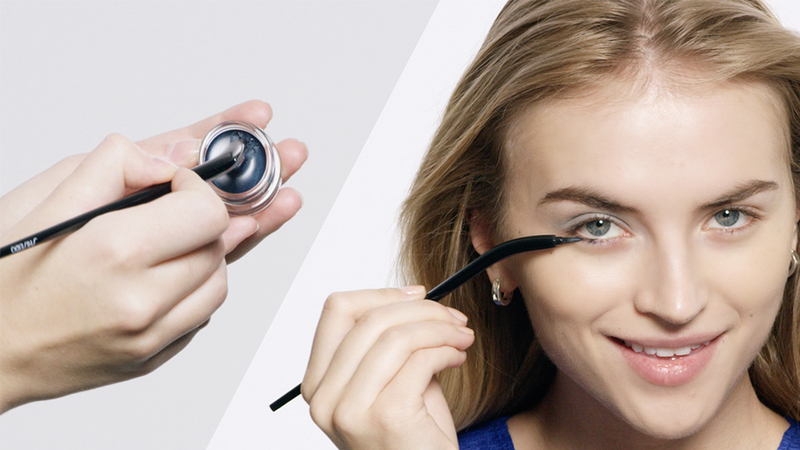 Take up an amount with your brush, applicator or fingertips and blend over the eyelids. Layer for a more intense color, or sheer out for an airy soft finish. Smooth Fit Complex EC helps create a light formula that is smooth, adheres well and delivers a beautiful even finish. Flexible Network Structure helps resist creasing. Clear + Matte Base helps reveal a gorgeous translucent finish. Super Hydro-Wrap Vitalizing DE EX provides moisturizing benefits.